LOFL, good thing Spidey knows we only tease him because we love him. I did have a 2010 Silverado (black) so ya... close. haha I remember the same thing for some reason, prob' cause it's another nice ohdee truck? I like Lever's sporty slick rides though, what ride your got now donnie? Do they have pimps in Saskachatoon?? you'd think with all of ohdee's cash he'd be a part time pimp. Spiffy seats at the drive in. Mrs. OD is gonna get whiplash! ..same as before, may change things up in December. The pampers this thing can haul! Now I can't wait till Dec!!! 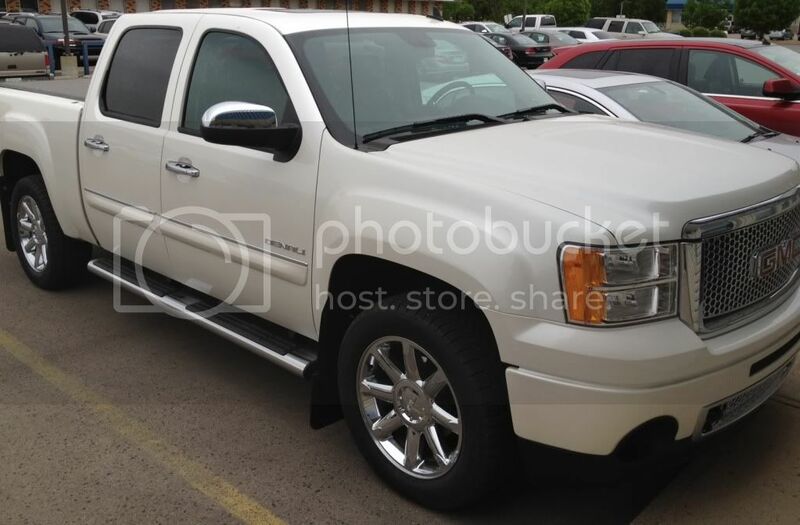 :I At least a mid point between before the Canucks hopefully playoffs.....Ohdee's Denali or DL's new ride. donlever wrote: ..same as before, may change things up in December. Go with the new NSX! Or which extreme minivan will it be this time!! Did your iphone come with a spud app? Nothing wrong with the spelling.